St. Patrick’s Day Snacks: All Dressed Up! Last minute St. Patrick’s Day party at school? No prob! Download our inexpensive (only $5!) 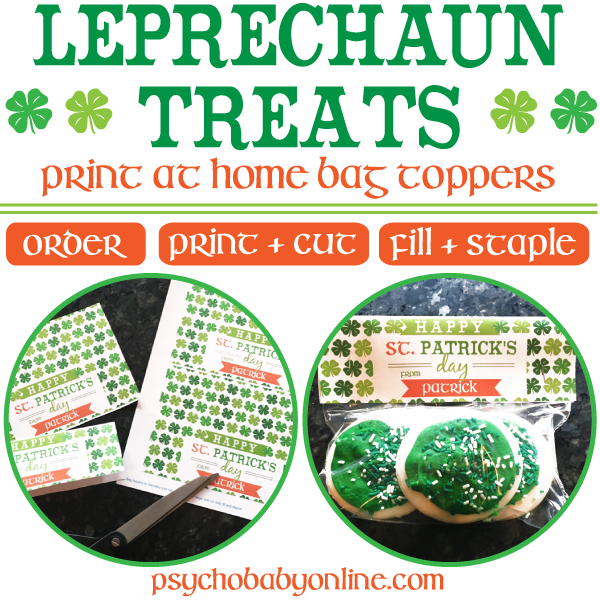 shamrockin’ snack bag toppers and have the cutest treats in minutes! Fill snack bags with your favorite Paddy’s Day treat – some of our top picks are rainbow candies like Skittles or M&Ms, Lucky Charms or green frosted sugar cookies (pictured) – then just fold and staple the tops onto your bags! 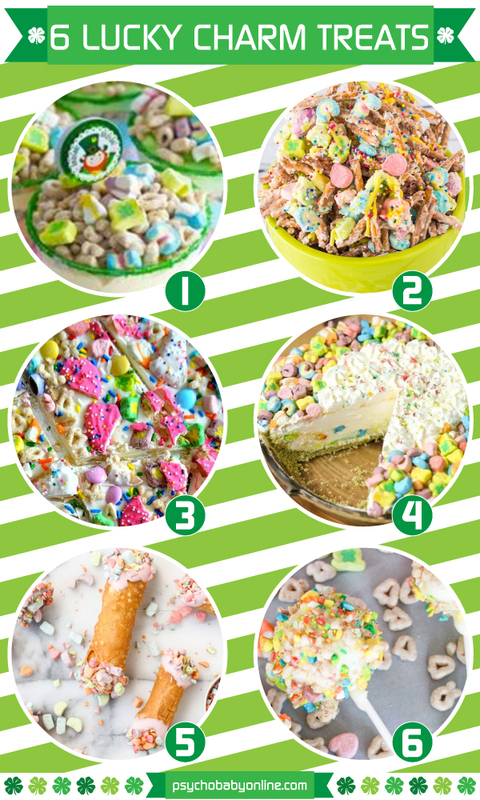 Click here for 6 Delicious St. Patrick’s Day Recipes and check out all our personalized St. Patrick’s Day gifts here! Superpowered marshmallows? As if you needed any more reasons to eat them! Try out one of these shamrockin’ snacks and visit our St. Patrick’s Day shop for personalized St. Patrick’s Day gifts for babies, kids and the whole family!